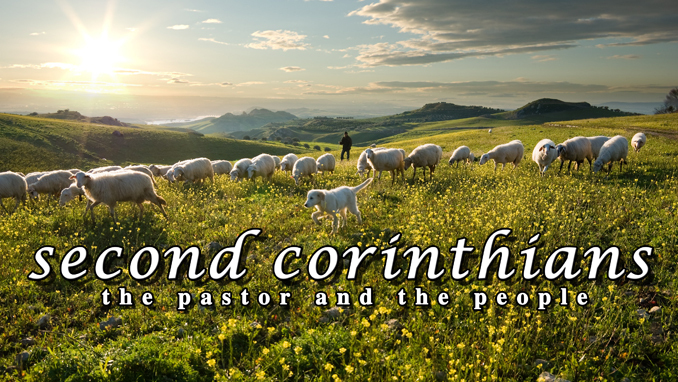 I imagine the church at Corinth was not an easy church to lead. Yet, the Apostle Paul went far and beyond to help them become what God would have them be as a church. We likely only have two of the four letters we can tell Paul wrote this church (maybe three if our Second Corinthians is actually two letters combined). We can tell from the way Paul starts many of the sections in First Corinthians that this letter is actually a response to some sort of correspondence from the Corinthian Christians. 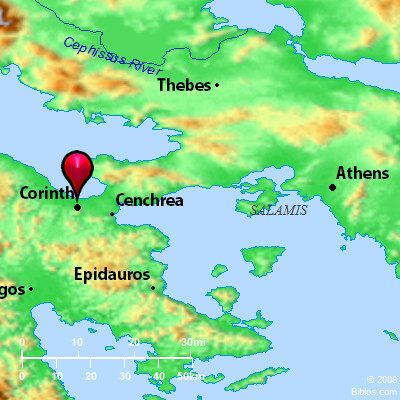 Next maybe only to Ephesus, Paul spent more time in Corinth during his missionary journeys than anywhere else. As challenging as the Corinthians were to Paul, he dearly loved them and that comes out in these letters. Paul seems to be combating several issues in these two letters, each letter quite different from the other. Holy living in an unholy culture: Corinth was home to many temples, not all of which were likely in use at the time of Paul. The most famous of these was the Temple of Aphrodite, the Greek goddess of love, in which 1000 temple prostitutes once had served. On the north side of the city was a temple to Asclepius, the god of healing. This background of idolatry and sexuality will appear several times in the two letters. This may be Corinth’s most recognized vice. There is a now-archaic English verb, “to corinthianize,” which means to engage in lewd and indecent acts of debauchery, especially unbridled and indecent sexuality. Paul’s instructions will be unequivocal: navigate through a sinful society with purity, abstinence, and consideration for your brothers and sisters in Christ. This point is also what makes many people say 1 Corinthians is especially relevant for today’s world. Airs of superiority amongst the members and the division that naturally would bring: Wisdom was key to the Greek culture. At least in some people’s minds, one’s value was attached in part to their intellectual development. Education, philosophy and conventional thinking would have been held in high esteem. As we will see early in 1 Corinthians, this attitude was clearly present in the Corinthian church as well. This thinking also seems to have shaped how they thought about the spiritual gifts they had been given by the Spirit. A pecking order of giftedness seems to have been causing a problem, as was their penchant to group off according to which religious teacher they preferred. Unity will be the most recurring point in these letters. Misunderstandings about the resurrection of the dead: There can be no misunderstandings about this all-important idea fundamental to Christianity, yet it seems the Corinthians had many. Paul will speak to the who, when, how, and what of the resurrection from the dead. Encouraging the Corinthian Christians to give generously to famine-striken Christians in Jerusalem: Situated at a main commercial nexus point between the Adriatic and Aegean Seas, there would have been a good bit of wealth in the city. Paul will encourage his Greek brothers and sisters to use that wealth to show tangible love for the Jewish brothers and sisters who started this movement they are now a part of. Having to defend this apostolic authority: Paul’s response to this issue composes most of Second Corinthians. This was an especially big deal as questions of authority would have undermined everything Paul had been working for in Corinth. The emphasis on wisdom in Corinthian culture would have contributed to this as Paul was foreign, educated in non-Greek religion and philosophy, and he did not emphasize the charisma commonplace in Greek cultural leaders. 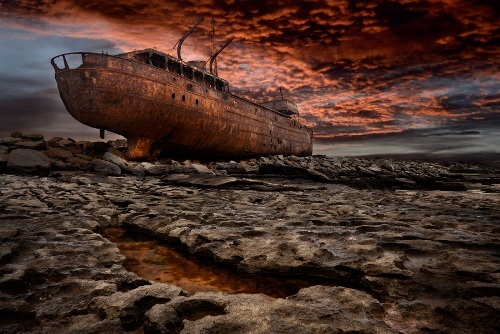 More troubling for Paul were false teachers posing as apostles who had come to Corinth since his departure who were turning the church against him. They painted Paul as opportunistic, greedy for their money, unreliable, and unskilled. Paul responds will great passion and fire. For what it’s worth, Paul’s explanation of why he is competent to be a “minister of reconciliation” has been one of my favor sections of Scripture since first training for the ministry in undergrad. 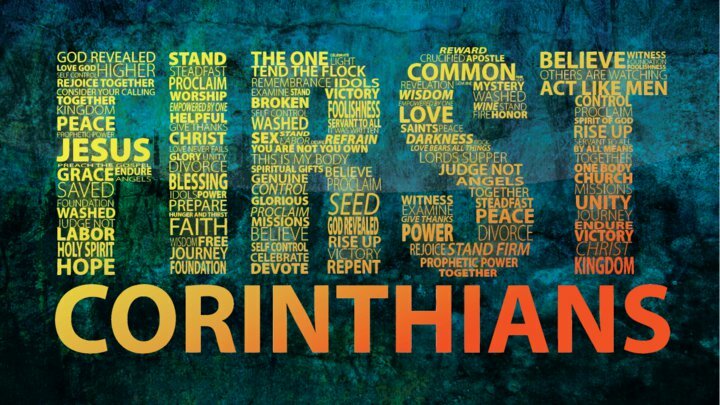 So much of the Corinthian letters has to do with church life. This may be where we see Paul’s pastoral heart best of all. Romans is a personal favorite of many people. 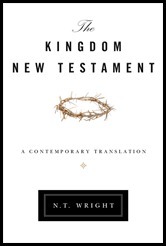 Paul, who almost all agree was the author, touches on almost every major theological belief in this great book, so the next three weeks are sure to be stimulating. Rome was the center of the New Testament world. A city of several million, it was the political and cultural center of the Roman Empire, home to the Caesars. Rome was the ancient equivalent to New York, Los Angeles, Hong Kong or Tokyo. Religion was big in Rome, mainly the worship of the Roman gods and the developing Emperor cult, but there was a large, vibrant, and legal Jewish population in Rome as well. Remember that when Christianity first stated it was considered a Jewish sect so it too was a protected religious movement and not largely persecuted. Christians would suffer severely in Rome but not for another 20 years after the writing of Romans. Romans was most certainly written in Corinth around AD 55 and delivered to Rome and first read to the church there by the deaconess Phoebe (Romans 16:1). 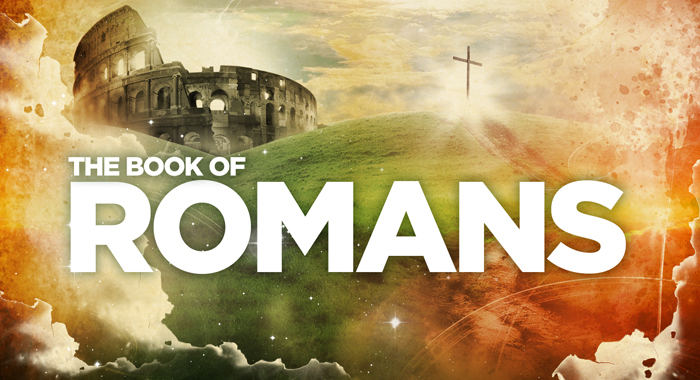 The purpose for Romans has been described in many ways. Martin Luther read his own issues with the Roman Catholic Church into the book and saw Romans as a treatise against works-oriented religion. It is certainly that, but that characterization has more to do with 16th Century Europe than 1st Century Rome. Others imagine Paul sitting down and writing Romans as a theological compendium, a statement of his beliefs. There is too much that is specific to the Roman church for that to be true, plus that would make Romans truly unique amongst New Testament letters. Like every other letter in the New Testament, Romans is situational. There was something going on that made Paul write this letter, to a church he had not started nor even visited. Paul had a habit of setting up home bases for his various mission endeavors. First it was Antioch, then Ephesus, now Corinth. Paul’s greatest desire was to get to Spain where the Gospel had not really yet been preached widely (15:23-33). By all appearance, Paul was preparing this Roman church to be his next launching point for that campaign. However, this church was a divided church turned inward on itself in no condition to be involved in outward mission. We know from the ancient Roman historian Suetonius that around AD 49 the emperor Claudius had expelled all Jews from Rome because they had been rioting amongst each other concerning a person named “Chrestus” (c.f., Acts 18:2). This likely was an argument between Jews and Christians over Christ. So for a span of five years until Claudius’ death in AD 54 when the Jews would have returned to Rome, this largely Jewish church with a defined Jewish flavor became thoroughly Gentile. Leadership changed. The culture and practices of the church changed. Now in AD 55 we have a power struggle and identity crisis in the Roman church, largely involving ethnicity and customs. Issues like circumcision, food, holidays, a background in paganism, an Abrahamic heritage, and the like would have been hotly debated, and these will pop up a good bit in our readings. Paul is writing a significantly divided and prejudicial Roman church attempting to help them sort out their problems for the sake of the advancing Kingdom of God. Background aside, Romans is so popular because the Gospel that all of us needs to hear speaks freedom, hope, love, and faith into every situation, whether in ancient Rome, modern Memphis, the Philippines, Malaysia or Canada. Today’s chapter is immensely interesting for three reasons. One, Luke is writing good literature. We are coming down to the end of the book. We have a goal we know the main character has — to get to Rome — but further, seemingly insurmountable complications come. Luke knows how to push us along in the book! Two, Luke is writing convincing history. Scholars who study the book of Acts marvel at how historically accurate and detailed this chapter is. This chapter is one of the best accounts of ancient nautical practices in all ancient literature. This is not the kind of chapter an author makes up. This was written by a smart researcher and eyewitness, as we know from the “we” in the first verse. What did you see in this chapter worth noting?